Facilitated by special international guest Tom McKaskill, this session of the Angel Association Summit 14 will deliver a glimpse of the portfolio’s of some of NZ’s most significant Funds and Networks. Each presenter will speak for 5 minutes and give delegates and exclusive inside view of their portfolio. This level of intel is not available publicly and will see delegates to the Summit walk away with a significant increase in their understanding of portfolio management and the role of a strategic approach to building a portfolio. Each presenter will detail the number of deals in each portfolio, how these deals were sourced and over what period, then touch briefly on the approach taken to deal acquisition and success. And finally, in general terms, address how their returns are tracking. Has the approach to deal acquisition and management changed over the years? What are the significant lessons learned from the deals that work and the deals that don’t? With this level of information the Angel Association of New Zealand is aiming to empower delegates with the ability to make comparisons with their own portfolios and improve their awareness on how to measure portfolio performance, and increase their returns. To get access to this session, the discussion and meet the presenters Angel Investors need to register to attend the Summit. Find out more about the Angel Association Summit 14. Book one of the remaining tickets to the Angel Association Summit 14.
Who will buy your Angel backed company? The importance of understanding a potential acquirer’s acquisition strategy can not be understated for Angels who want to maximise their portfolio’s. Ascertaining the acquirer’s budget, their ability to resource the acquisition and whether they have the right people to leverage their acquisition is essential before approaching the valuation discussion. Jim Connor presenter at the Angel Association Summit of New Zealand 2014, a Board Director and founder of Sandhill Angels in California will discuss these elements and how to obtain this information in the process of planning acquisition strategies during his session on day one of the highly praised early-stage investment conference. He has enormous experience with emerging technology companies, including starting them, building them and selling them. For twenty years Jim has been active in financial software applications – most recently the President of JPMorgan SymPro the leading provider of Treasury Management software to the public sector, specifically focusing on investment management, bond issuance/debt management and the integration of treasury and liquidity operations. 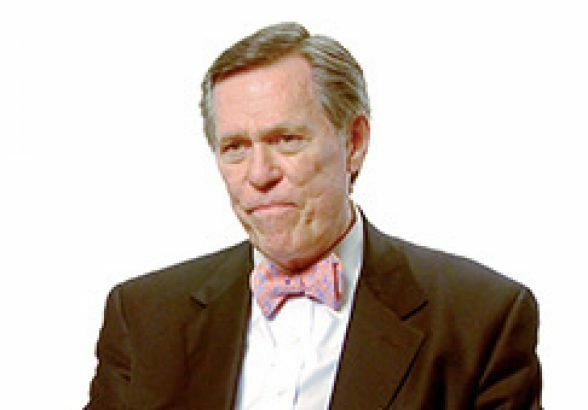 With this vast wealth of experience, insight and knowledge Jim’s 20-minute presentation on how to woo an acquirer is an essential session for Angel’s who really want to drive satisfying returns. Jim will cover how to find acquirers, what are they looking for and elaborate on some of the nitty gritty of negotiating and closing a deal. Following his presentation, in conversation with John Huston, keynote speaker at the 2014 Angel Association Summit, Jim will discuss how to begin engaging with acquirers, where, with whom. Having been embedded in financial services and software and the early-stage investment eco-system in the USA for many years the pair will share what they know about acquisition deal sizes at the moment, how they compare with NZ and give a clear understanding of the key things that can derail a deal. Of particular interest will be their views on the variance across sectors and the nuances of ensuring your investees existing contractual relationships allow for acquisition. The role IP play’s in an acquisition is a subject on which both are experts and they will give examples so delegates to the Angel Association Summit will get a clear understanding of the path to acquisition and what motivates acquirers. The Angel Association Summit 2014 is in Auckland at stunning Orakei Bay, October 15-17. It is New Zealand’s only angel-centric gathering with members of the Angel Association Council, Lead investors, Fund and Group Mangers from around the country in attendance. The line-up of valuable sessions along with the terrific venue makes this AngelSummit#14 a special event and as always a high point on the early-stage eco-system calendar. Note: There is limited capacity at the venue so register now to avoid missing out! I am looking forward to my fireside chat with Dr Tom Mackaskill and digging into the details of board stewardship for success at this years Angel Association Summit in October. So much of what we do as Angel Investors is about the people and strategy, it’s important to know what conversations should take place and with whom in the companies we invest in. Tom is a good overseas friend of the Angel Association of New Zealand, a global serial entrepreneur, educator, author and successful angel investor. An authority on how entrepreneurs start, develop and harvest their ventures, Tom has become one of the world’s experts on exit strategies for high growth enterprises. Our session on the first day of the Summit will begin with a 20-minute presentation from Tom on the importance of alignment between the board and the founder in particular. Drawing on his experience with multiple start-ups in the UK and USA, raising venture capital twice, undertaking two acquisitions and strategic trade sales of three businesses, Tom will also share the benefits of getting aligned with other shareholders and employees to give ventures the best chance for liquidity success. Then together we’ll dig into some detail around the complexities of young company governance in a ‘fire-side’ chat. We will explore the most important things for founders to be aware of, and share some lessons learned where things have gone horribly wrong. The difference between a financial exit and a strategic exit is a critical distinction we aim to clarify, along with highlighting the importance of maintaining an inventory of strategic exits and capability. We also aim to cover off how the deal documentation can best reflect alignment and international trends NZ angels should be aware of when putting together boards and getting alignment. My goal is that you will have a clear understanding of the key components of aligning for liquidity success and how to operationalise these by the end of the session. You’ll have a checklist to take away with you to use in the future. The Angel Asociation Summit #14 is just one, but an important part of the work the Angel Association does to improve the quality of early-stage investments and capability of investors in NZ. It is a great event, which over its seven year history has grown to become one of the leading Angel events in the world. This year our AngelSummit#14 is being held at the beautiful Orakei Bay venue in Auckland which has a limited capacity so registering now is a good idea. It’s a once a year opportunity to get this kind of insight first hand. The Money’s In… Now What? Taking place 15 – 17 October 2014, the Angel Association Summit’s goal is to answer the question “the money’s in – now what? This summit will focus on providing Angels and those who are considering early-stage investing practical insights on managing your angel venture to best ensure success after the first round of funding has been secured. You’ll hear from seasoned investors and top advisers about the importance of a capital strategy, about board stewardship and alignment in a high growth company. An important highlight will be the sessions on how to successfully court acquirers and how to manage market disrupting intellectual property for commercial success. This year the Angel Association have raised the bar further with four “walking Wikipedias” of Angel Investment and success as our guest speakers. Australian Angel Tom McKaskill who is renowned for his work on liquidity success. The Angel Asociation Summit #14 is being held in Auckland at stunning Orakei Bay, October 15-17. In keeping with our desire to keep this event an angel-centric, intimate gathering, this terrific venue has limited capacity so register now to avoid missing out! Smart IP strategy… simple or not? Day two of the Angel Association Summit 2014, in Auckland, October 15-17 features a presentation from Agricultural technology entrepreneur Greg Mirams who has worked with many angels across the New Zealand, and received investment from Enterprise Angels in his two interrelated companies. Greg will share personal experiences and views on the role of intellectual property in angel deals. With a particular focus on life science ventures, an important sector of New Zealand’s growing start-up eco-system, this session promises to provide valuable insights to Angels. Those who participate in the discussion following the presentation will deal with questions key to the success of life science ventures including how to use IP to create investment and acquisition tension. Greg and Angel delegates will also address the issue of Angels simplifying their approach to IP and protection strategies, including answering the question: how important is it that the company owns the IP? And, can an exclusive license suffice? This important session will deliver Angel investors with a better appreciation of how to leverage intellectual property and the complexities and role of this asset at every stage from valuation to exit. Delegates will also have a better understanding of the right questions to ask their IP lawyers and advisors including strategies around deal terms that vest the IP with the investor in the event of the venture’s failure. For Angels who understand it is important to build a clear picture for themselves of forming IP strategies for use in deals they will make in the future this is a not-to-be-missed opportunity. How do NEW Angel investors know how to really help entrepreneurs? Delegates to this year’s Angel Association Summit, Auckland, 16-17 October, will have the opportunity to formulate some answers to this question. The comprehensive Summit programme, full of crucial information for Angels to apply in their investment activities, gives Angels a rare opportunity to “walk in the founder’s shoes”. During the session on day two they will gain some understanding of “the other side of the deal” from three of New Zealand’s brightest founders. Marie-Claire Andrews from ShowGizmo, Paul Cameron from Booktrack, and most recent investee Rachel Lacy from Drikolor will tell their investment story. They will explain what they loved and loathed about the process and the changes it’s meant for them and their businesses. In part two of the session John Huston, special guest and keynote speaker at the Summit will lead a discussion around founder-friendly vs investor-friendly term sheets, the role of angel investors in explaining deal terms, setting expectations, aligning for exit and follow-on funding. The session, conceived by Robbie Paul, Startup Funding Manager from Ice Angels and Suse Reynolds, Executive Director, Angel Association of New Zealand gives an opportunity to understand from the entrepreneurs perspective, what executing for success might look like. An important addition to the Angel Association Summit’s two day networking, intel and insights experience. This is the first in a series of initiatives with the aim to improve founder/investor relationships and communication. A critical element of the Angel Association of New Zealand’s work is to increase the quality and quantity of early-stage deals the majority of which require close collaboration including shared understanding and language in order to set the right milestones, deal with missed and unexpected opportunities. How to Minimise the Prospect of Lousy Angel Returns! One of the most compelling presentations at this year’s Asian Business Angels Forum, (ABAF), was delivered by Swiss-based angel investor, Brigitte Baumann. Brigitte spoke about how important it is for angel investors to have an investment strategy. As she put it, “if you want to have fun as an angel investor, and minimize the prospect of lousy results, define an investment strategy”. She went on to explain that this doesn’t need to be especially sophisticated or clever. 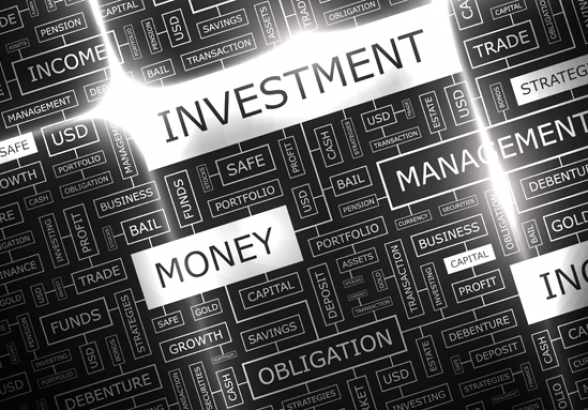 An investment strategy provides a framework to help you decide what to invest in next. The business – is it a good technology or product? The investment – does the deal have good terms and structure? Understanding your motivation for being an angel investor includes considering what your drivers are. Is it to make money, make a difference, create jobs for your local economy, have an impact on the next generation, on the planet? Make a note of these and accord them the appropriate priority for you. What are your personal objectives for being an angel investor? This will determine how you engage with your investment and the founder. Do you want to transfer know how, do you want to learn how to get good at “doing deals”, do you want to make 20% a year IRR. With respect to the latter it’s important to have a return target. To be clear this is not about multiples on your money invested. These are not relevant when it comes to doing well financially from angel investment. You should also have thought about why you would not invest or stop investing; both overall and on a specific deal. When will you visit tough love on any ventures you’ve put money into? How much time and money? Think about the time and money you have to invest. Available time is critical and will determine how many ventures you will be actively engaged with. Think about how much money you have to invest; in total, per year, per investment. What is your investment horizon? When will you invest, hold and divest? Whose money are you actually investing? What impact should/does this have on your other investment decisions. You might also like to have a framework for the types of investment you are going to make. Will your preference be equity and if so, preference shares or ordinary shares? Or will you be happy to invest via convertible notes? How many rounds will you be in for? How many investors do you want to invest alongside? Do you care about who these people are? What type of investment will you make in which industry? Do you have a preference for particular business models or stage of company development? Do you care where the business is located? Brigitte recommends spending an hour or so asking yourself these questions making a note of your answers and revisiting them on a regular basis. Doing so will likely improve your prospects of success. And let’s face it, as angel investors we need to improve the odds of success in every way we can! Brigitte, a Business Angel and CEO/Founder of Go Beyond. She serves on the selection committee of the World Economic Forum’s Tech Pioneers and is a Member of the Präsidium of KTI, the Swiss commission for Innovation and Entrepreneurship. She is President of the Board of EBAN & Chairs Young Presidents Organization’s global Angel Investing interest group. Brigitte holds a BS in Chemical Engineering from Tufts University and an MBA in Finance from the Wharton School at the University of Pennsylvania. 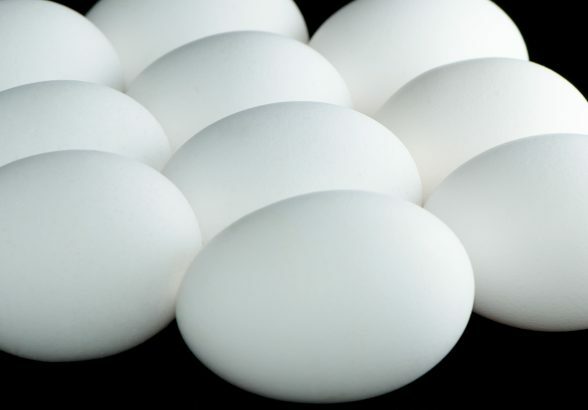 New Tech Incubators – addressing the scarcity of great angel food? Angels are always looking for great deals. Great deals have three key characteristics – a really clever product, a lucrative addressable market, and a smart team of people who have the skills and experience to deliver that product to the market. Last week the Minister of Science and Innovation, Stephen Joyce, announced the successful candidates for the government’s new tech incubator programme. This programme aspires to get more of the wonderful products being researched and explored in New Zealand’s Crown Research Institutes and universities commercialized and into global markets. “Commercialisation” means different things to different people. To an angel investor it means the relevant intellectual property is owned by a commercial entity they can invest in – a startup company. New Zealand’s record of generating successful startups from publically funded research is patchy. To be fair, government’s around the world grapple with this. It’s difficult and costly. A huge funnel of opportunities is needed to find the tiny proportion of ideas that will kick on to be profitable companies and substantial sums of venture funding are usually needed. Angel investors are willing the winning tech incubators – PowerHouse (an Angel Association member), Astrolab and WNT Ventures – to succeed. A key motivator for angel investors is their desire to lift New Zealand higher – economically and aspirationally. They are keen to see innovative opportunities coming out of as yet largely untapped deal sources. And they are keen to help with their money, their expertise and their networks. Collaboration will be vital – nationally and internationally. We all have a stake in seeing this initiative work. 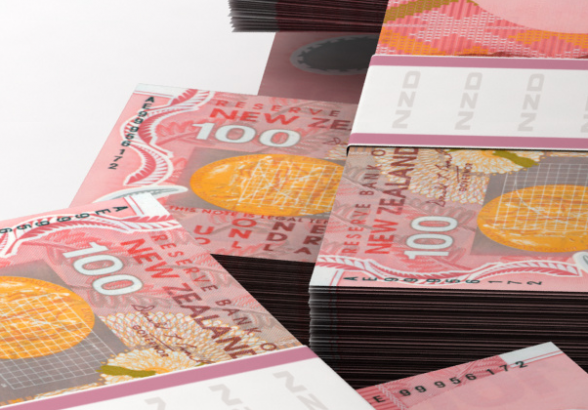 As NZVIF celebrates its 100th investment in early stage ventures through the SCIF fund, the government is casting a critical eye over its future. In my view, SCIF contributes a lot more than capital. It enables Angel investors and companies to go further. Since its inception in 2006 it has been instrumental in establishing crucial, professional, early stage investment disciplines and process that added credibility to an evolving sector. The 100 investments it has made to date have provided a goldmine of early-stage benchmarking data that otherwise would not have developed. And, having SCIF as a shareholder investor has given additional credibility to New Zealand start-up deals because it only co-funds with certified angels (with established professional disciplines). It is too early in the life of SCIF to draw any RoI conclusions from current performance, which is indicative of any portfolio of high risk / high reward companies. Another 3-5 years of sustainability is critical to enable the portfolio to achieve its full potential. SCIF has extended the capital angels could put into deals, and like the members of the Angel Asociation’s groups and funds, being consistent with its support will help it realise greater returns. Further more, growing the number of NZ angels requires certainty in terms of government policy levers. Our’s is an environment that by its very nature is dynamic, the support SCIF has provided thus far has helped New Zealand’s early-stage investment community to flourish. I applaud the recent media profile through articles in Business Day by Andrew Duff and Fiona Rotherham in support of the significant value SCIF has generated for the NZ start up eco-system. I look forward to reading more from the members of AANZ groups and funds providing their views. 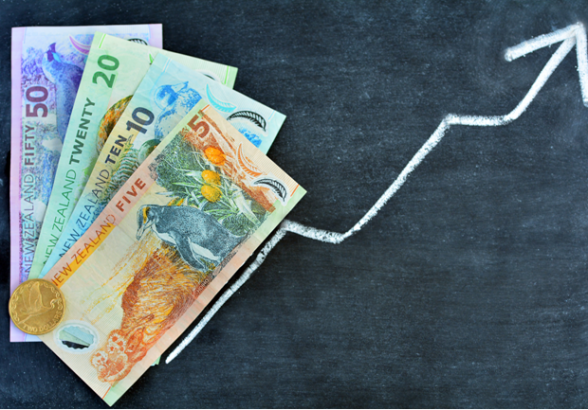 The governments Seed Co-Investment Fund continuing to partner with early-stage investors is important to the growth of the start-up investment activities in New Zealand. Andrew Duff, chairman and co-founder of Sparkbox Ventures explains in Business Day. Angel investing has gone from pretty much nothing to a decent niche in our capital markets over the past decade. In 2001, when Sparkbox Ventures was starting out, there were scarcely any other groups on the scene. Stephen Tindall’s prolific K1W1 vehicle was active. Ice Angels, one of New Zealand’s largest angel network groups, didn’t start until 2003. It was a niche area and the concept of angel investing was largely unknown. Now the Angel Association of New Zealand has active members all over the country. There are around 15 active angel groups. Successful business people and entrepreneurs are joining, investing in and mentoring new companies. Around $50 million a year is being invested by formal angel networks, with probably as much again by angels outside these groups. There are a number of reasons why, but an important one is the SCIF programme run by the New Zealand Venture Investment Fund, which co-invests alongside 4 angel groups. The government is currently reviewing SCIF and considering whether to commit another chunk of capital to keep the programme going and growing. It is right to review it. No programme of this nature is perfect and can always be improved (speed of approvals and flexibility of terms, for example). But if the government considers that professional angel investing is a valuable component in our capital markets, it should approve SCIF mark two. 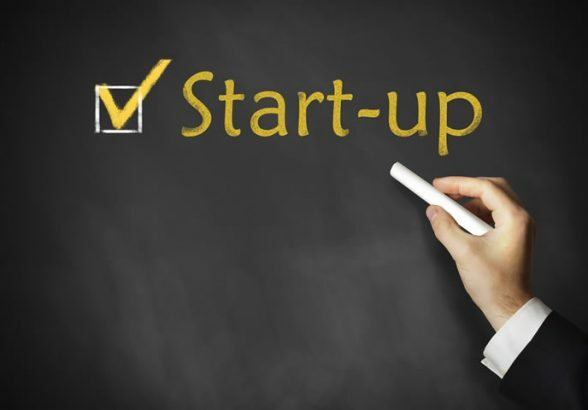 Lack of capital remains a major constraint on start-up businesses. Capital is the fuel that keeps early stage companies going and enables them to accelerate quickly to capture a market opportunity. Many start-ups fail, not because they were a bad idea or poorly executed, but simply because they didn’t have enough cash to survive through to the next investment round, let alone break-even. What the SCIF programme does, by co-investing alongside angel investors who are also committing capital, is it increases the pool of capital. This increases the chances those start-ups have of surviving, accelerating to gain traction in global markets and, perhaps, becoming our next Mesynthes, Booktrack or Xero. If the growth we have seen in angel investing continues on its current trajectory, then in another decade the sector should be self-sustaining. I hope we will have a 1000-plus angel investors linked to 20 to 25 angel groups collectively investing over $100 million a year. If SCIF is abandoned, we would undoubtedly still make progress, but the industry’s development will be much slower – as it is in Australia, whose angels enviously wish their government would introduce a similar scheme. Some question why the government is involved with angel investing. SCIF is neither a subsidy, nor a grant. It is a co-investment programme which seeks to make a return similar to that of the early stage investment specialists it partners with. Angel investors put in their own capital. NZVIF does likewise. If a company invested into goes belly-up, the angels and NZVIF lose their money. If a company does well, both do well. The SCIF programme should make money for the Crown commensurate with the investment risk, not lose it. SCIF provides a longer runway of capital for ventures, thereby improving the prospects of success. This in turn enhances the appeal of this higher risk end of the capital markets, attracting more angels to the industry. It also supports syndication and national collaboration, both of which improve start-ups’ prospects of accessing relevant skills and offshore networks, and increases the capital being raised and further rounds of capital being brought to the venture. Economic Development Minister Steven Joyce is pondering the future of the SCIF programme. Without it, New Zealand’s transition to a more diverse and innovative economy will be slower and more difficult. The successful sale of cloud-computing company GreenButton to Microsoft is a win for everyone involved in the venture’s journey from a one-man startup to a globally competitive, international company. It illustrates just why angels like me find investing in high growth startup companies so rewarding. This transaction is an excellent outcome for New Zealand. It’s something we can all be proud of. Another team of smart Kiwis have shown they can create a terrific piece of software which will be used by potentially millions of people. Its worth pointing out almost all the capital required to create the company came from New Zealand’s angel and venture investment community, reflecting the degree to which this community syndicates deals and supports each other. Over 20 individual angels from three networks contributed – Angel HQ in Wellington, Enterprise Angels in Tauranga and Ice Angels in Auckland – as did early stage venture funds Movac, Sparkbox and Evander. Almost all the investors have indicated they will reinvest the returns straight back into their startup communities. Its also important to acknowledge the support the company has had from the Government, including the NZ Venture Investment Fund, Callaghan Innovation and New Zealand Trade and Enterprise. These entities were all instrumental in the company’s success and I am delighted this transaction represents a significantly positive return on the Government’s investment. Another instalment from ACA Summit 2014. This session on corporate acquirers was sponsored by Procter and Gamble. Steve Baggot represented the company on the panel. Also on the panel were Frank Ball from New Dominion Angels who moderated the session. Michael Loria from IBM and Peter Rosenblum from Foley Hoag Law Firm also spoke. IBM’s – Michael Loria said his firm try to approach opportunities without determining structure of the deal until they understand the opportunity. More and more they are seeing the need to incubate an opportunity they have spotted. Sometimes they may buy an “option opportunity” in that business and often want access to customer base and sales team. They tend to “either have to drive or absolutely sit in the back seat”. This then means they can have quite a long relationship with the opportunity before they buy it. Building a relationship is vital. It’s a long process. Using relationships as a runway to an acquisition. What happens to the people? At P&G many people are there from acquisitions. Most of the opportunities they are looking for are ‘what is keeping people up at night’ – problems the company is trying to solve. Steve likes the things that are serendipitous, but these still have to meet the test of strategy and business fit. Law firms like Foley Hoag often help with the match making between venture and acquirer. But specialised law firms are better at the strategy than the match making. They can also help with investment banker identification. But be wary of whether you actually need these guys. 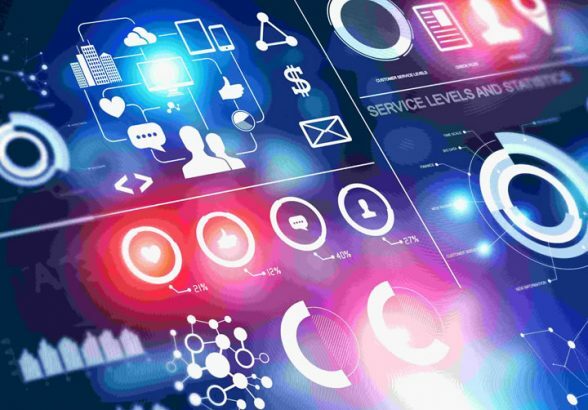 How do acquirers communicate their needs? Check their website. But this is generally only a slice of what they need. Always be on the look out for big acquirers looking to Invite people to share what they are working on. It’s often a good idea to contact regional offices. Most will have entres into the acquiring dept of the big corporate. Odds of reaching the relevant person or even the acquiring team or department on your own are about zero. Look for someone to provide an introduction. Make sure your legal or investment banking teams have credibility with the acquirer. Make sure they know the acquirers strategy and market, intimately and practically. Be wary of the business development guys at investment banking firms. They can become conflicted. And be sure, in the same way you appreciate the conflicting drivers when you are talking to the sales team at a corporate acquirer too. Neither care about how big the company is that they are acquiring. Almost all corporate acquirers won’t be getting into DD until they are quite sure it is a strategic fit. Then if it is a fit “about 10 billion” people will show up on your door step. And will they require tons of data. Internal data and intel about the company and about your market. They will then review the business fit to be sure the acquirer can extract the value. Some deals take 21 days, some two years. One of the first questions to ask a potential acquirer is do you have people and budget for acquisition – you need a “yes” to both questions and dig a little deeper on this too. Be sure the answer is “yes”. Strategic and resource fit are important. A lot of deals fall over on IP issues. Sometimes trade marks. Corporate acquirers generally want all IP in the company but not always. Software business – big bump in a deal is often caused if the relevant software is open source. Most big companies don’t like it. Contracts are another bump in the road. Distribution relationship can be a potential land-mine if it’s with a competitor of the acquirer. Even some existing customers can be a problem to an acquirer, especially if you can’t get rid of them easily so that your acquirer can sell to their own customer base. As an Angel Investor director you have to help your companies understand how they will manage the business while acquisition is going on. So often the company falls over while a deal is being done… often running out of cash because they neglect sales generation. Valuation is the biggest derailer. Passion gets in the way of a clear eyed view of the real value. Based on data and research plans. Ask yourself, how do we learn together to get to an aligned view on valuation. Look at comparables in the market. And look at the risk. What is it worth to us. But every case is specific. The heart of the issue for Angel’s is – what can we expect our Investee to do in the buyers environment – not necessarily what it is doing in its current environment. It’s not about what you have but how the buyer might look at it. On my way home from the ACA Summit 2014, via Boulder I visited Trimble Navigation – employing over 3000 people, selling over 500 products in 35 countries and making GPS receivers, laser rangefinders and inertial navigation systems. Trimble have acquired 80 (yup, 80!) companies in the last 4-5 years. Some of these from NZ. They just recently acquired an Auckland company for $10m+. So the message is clear, American buyers are active! Good news for New Zealand Angels and their Investees. John Huston led a session at the 2014 ACA conference (www.angelcapitalassociation.org/2014summit/) in Washington, DC, on “Driving Lucrative Investments from the Board room”. His focus on exit strategy was clear and loud. John, ex-Chairman of the Angel Capital Association & the Angel Resource Institute, is quite literally a walking wikipedia of Angel intel and an energetic presenter. He founded his Angel investment group, Ohio TechAngels, in 2004 after retiring from a 30 year banking career and is currently investing out of their third fund focused solely on Ohio-based technology start-ups. At 282 members it is one of the largest groups in North America. We will be welcoming John Huston to New Zealand in October 2014 at the #AANZ Summit14 at Orakei Bay, Auckland. Register for the Summit today to hear from John in person, places are limited so be quick. As their angel investor you want them to see their baby grow up and be successful. He then asked the question Angels should all ask themselves: Are you growing your “ABC” (angel backed company) to attract financial or strategic buyers? Financial exits which are 6-8x and based on ebita take too long. This is NOT what you are after. Strategic exits is about building real value. Are VCs required for the exit? He had no good or bad answer. But noted that VC’s goals are rarely aligned with angels. They are required to balance their duty to LPs against ABC shareholders and will generally want all ABC directors off the board. And always ask is the VC director you are getting the one that PERSONALLY drove the last exit. Chances are he didn’t. VC’s are motivated by raising the next fund… and what metrics they need to demonstrate to do this. Publicly owned companies also have very different goals from an ABC. Maxing shareholder value etc not selling the company. Share performance vs sector performance etc, ie: not big multiples. Dilution kills you. So be as capital efficient as possible. Angel Investor directors need tools training and aligned expectations. Build a capital access plan. If you need VCs you are adding another layer of risk. You will have to increase the price and value enormously to outweigh the dilution. Know the difference between an IRR and multiples. Take an inventory – your strategic assets (what you own) and capability (what you do). Identify potential acquirers. Prioritize a maximum of 5 identified by their ability to pay $50m for the company and their willingness to bid. Then work on their willingness. Can you sell anything to them and then identify the customers that will impress them? Not every customer will have the same value to the acquirer. Track TSB (targeted strategic buyer) and attract their attention. Engage a banker. If needed. Have all directors take more of a role in the sale of the business so that CEO can keep driving the sales. Alternative strategy is “build a great company and they will come!” which is not an exit strategy that has any more chance of success than build a great product and they will come. John concluded with a bunch of questions Ohio Tech Angels have identified to ask founders, with number one on the list being the need for them to answer: Why would an acquirer want to buy your company? 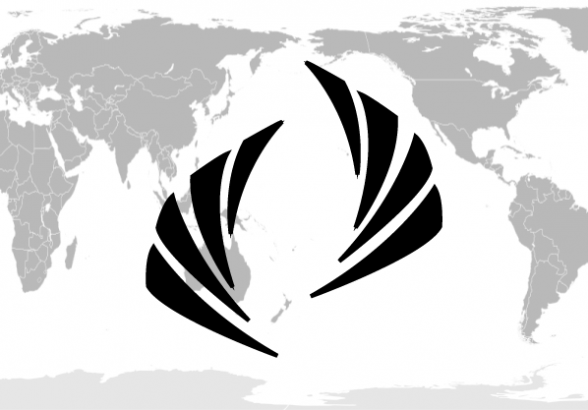 The AANZ’s role includes curating intel from the rest of the world for the use and benefit of New Zealand’s Angel Investors. The recent 2014 Angel Capital Association Summit (www.angelcapitalassociation.org/2014summit/) in Washington, DC, was a great opportunity to do just that. Billed as the largest gathering of angels in the world it bought together top insights into this rapidly changing environment. Features included how social media is affecting the early-stage landscape, investment best practices, innovations in deal terms, exits – and how rules and legislation from Washington is affecting our world (and what we can do to change it). 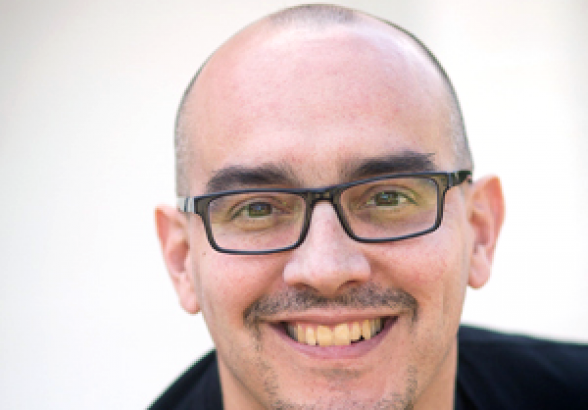 A highlight of the event were words of wisdom from one of its headlining presenters Dave McClure of 500 Startups. Dave’s session was fascinating. He is the founder of 500 Startups; a seed fund and accelerator based in Mountain View, California and one extremely colourful character. Everyone was rather wide-eyed with anticipation about how many times he would, to quote many of them, “drop the F-bomb”. He visited New Zealand in 2013 with his international Geeks on a Plane. What follows here, and in my other report posts are notes written while attending the ACA presentations. He invested very small amounts. And was very much learning on the fly. He made 13-15 investments and had 3 exits. This took place over 4-5 years and he learned that “most of the time you’re wrong”! Getting something back is good. But doing a lot of little investments was a good strategy. It allowed him to explore ideas and companies he pretty much stumbled into. Then the Founders Fund gave him $2m and two companies have delivered 100x. Dave is firmly of the view that the minimum portfolio size must be at least 20. And you must be prepared to admit you’re wrong… A LOT. If you have $200k to invest, then invest the first $100k in $5k amounts into 20 companies. Save the second $100k to identify the ones kicking on and do some follow on in slightly larger amounts. He’s had lots of small exits and learned that valuations matter a lot. So keep them as low as possible. Don’t play for ownership play for valuation. Dave had a interesting DD tip which he’s learned makes a a great deal of sense – there is more to be gained from looking for upside opportunity than looking for downside risk. So don’t spend too much time looking what can go wrong. Explore the extent to which this deal can genuinely disrupt a market and make lots of money from it. In his view Dave figures if the founding team can make a product, sell it and manage costs you’re onto something. Even when “we might lose a dollar but might make ten” still looking at upside… this means even if the DD shows its dodgy, do it! Dave believes the angel and startup industry is getting easier to work with. Lots more visibility on deals and investors. Customer acquisition is getting easier. Dave also recommended his fellow American Investors look closer at potential in international markets and gave Africa as an example – which has 20 of the world’s fastest growing countries. In next 5-10 years the whole world will have access to Internet. Companies are going to fail on smaller and smaller budgets. Syndicates are easier to get started. Much easier to organise and pull together than raising an investment fund. He lamented the fact that there are “lots of people with money who aren’t giving it to entrepreneurs”! Angels and investors are part of the solution… write a small cheque and spend some time with the founder he urged us. This next point is a good one… and bears reading carefully. Dave made it well. Angels should be the Henry Ford for investment. There is a lot of talent out there and we should be giving it money.